This Friday marks the anniversary of the passing of the Satmar Rebbe (Grand Rabbi), z”l. His leadership spanned over 70 years and four continents, enriching the lives of thousands and giving hope to a world seemingly struck down. Many Jews, especially those in America, owe their very lives as they know it to him. 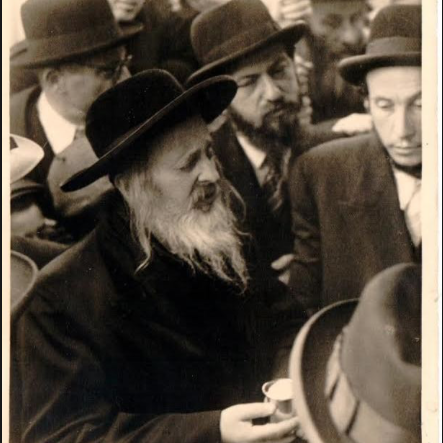 When Rabbi Yoel Teitelbaum stepped off the ship in New York Harbor, it was with a vision to rebuild what was lost in the fires of the gas chambers and work camps. The haunted looks of thousands of survivors gave urgency to his mission, unchanged by his move to the US save in geography alone. Scores of camp survivors streamed to his door upon arrival, looking to draw strength in a time when heresy was rampant and those who strove to maintain old ways in the New World were scorned in the streets. “This is America! Stop being so different!” This mantra had been taken up by many in the aftermath of the war, wearing down those who simply wanted to hold on to their sense of self, their own worth as Jews, as human beings. But the Rebbe was that voice of encouragement, that reassuring hand on shoulders which heaved with lose. Loneliness was eased in his presence, the future seemed brighter and sweeter. We could continue in the ways of our ancestors and we would. The Rebbe was our rabbi, grandfather, father, leader, friend and more. Eyes dull from too many atrocities slowly, under his care, regained their sparkle. In spite of his personal losses, his love for others was not diminished. He shed seas of tears for those who emerged, half-dead, from the bowels of hell. He shared our nightmares and, with patience and kindness many had long despaired of witnessing again, chased away the very real monsters of the past. With the Rebbe we knew we were safe. There was a leader who could guide us on the old paths. He defended us from movements, small and large, ideological hawks preying on people’s sentiments in their most vulnerable moments. When Ben-Gurion and company were forcibly secularizing the concentration camp survivors, he was the voice of protest. Oftentimes, he was the only voice, but it didn’t matter. The truth was the Rebbe’s shield. So, he built schools and synagogues and communal welfare organizations, free of heresy. He found jobs for the unemployed and guided young, orphan couples through their first years of marriage. He was, and in many ways still is, our father. That is why the passage of time has not dimmed the love felt by so many types of Jews for this lion of a man. The Rebbe’s ideas and leadership continues to instill hope in the hearts of many. That truth can withstand the onslaught of time and evil. That gentleness and strength are not antonyms. He was the match ignited in smothering darkness. We still look to his example to guide our lives. Today, and every day, we attempt honor his memory. Jews everywhere mourn the loss of a giant of man unknown in today’s generation but, more importantly, we celebrate the fact that, through often thankless and backbreaking toil, the world that the Rebbe rebuilt for us.